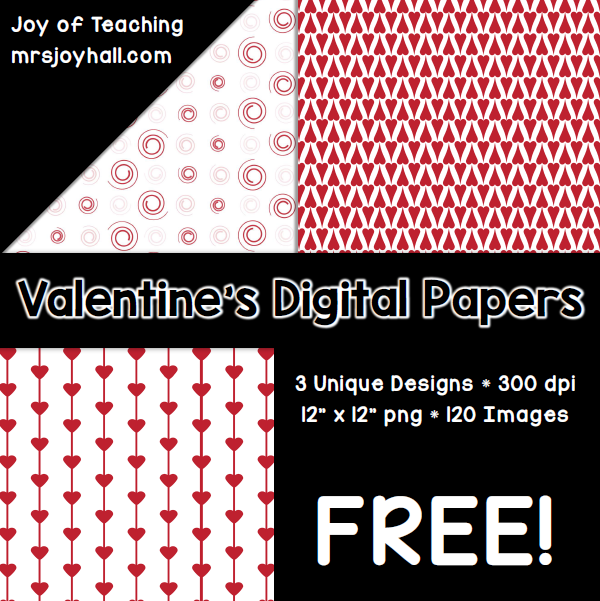 Home→Clipart→Free Valentine’s Digital Paper…in January?! 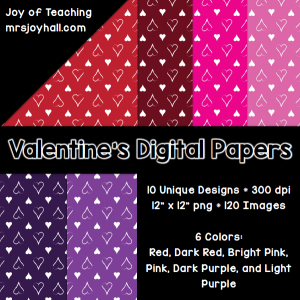 Free Valentine’s Digital Paper…in January?! 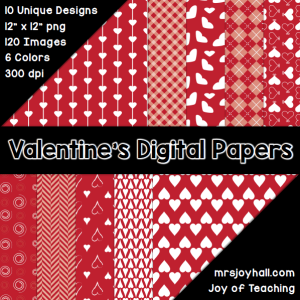 I’ve been procrastinating working on some digital papers for Valentine’s Day and thought I’d give you a sneak peek. I’m supposed to be working on second nine weeks progress reports, but wanted to do something fun on my SNOW DAY! 🙂 My eight-year-old helped me design some of the hearts and he is mighty proud of himself. 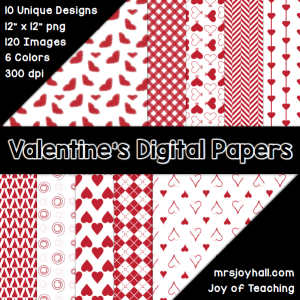 This pack of digital papers is great to use as backgrounds for anything you might make on the computer. I know a lot of TpT sellers use them to make fancy-schmancy covers for their products, but I also use them to jazz up PowerPoints for use in my class. There are 10 designs in 6 different colors. I made a white background version of each one, too. 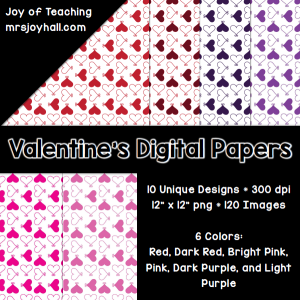 Altogether, there are 120 digital papers in this set! I hope you like this set. What other themed sets/colors would you like to see me make?